He described Osinbajo as “a consummate team player who does not seek individual accolades but one, who without personal notoriety or fanfare, does his best to advance the policies and interests of the government in which you serve”. “I congratulate Acting President, Prof. Yemi Osinbajo, on his 60th birthday March 8. “We know that you will have little time to celebrate as your birthday comes at a momentous time this year. As the humble and selfless person you are, you shall be busy promoting the policy agenda of your principal and our President Muhammadu Buhari. “You have been a faithful and dedicated lieutenant to our president. We wish you nothing but the best and congratulate your loyal service to him and to our beloved country. 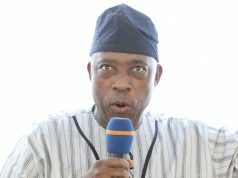 “From my experience working with you when you were the Attorney-General and Commissioner for Justice in Lagos State, I can say that you are a consummate team player who does not seek individual accolades but one, who without personal notoriety or fanfare, does his best to advance the policies and interests of the government in which you serve. “As you do your best to serve President Buhari and the nation, I cannot help but wish you the best on the occasion of your 60th birthday. “As always, you have conducted yourself with the decorum and circumspection your office and this moment require. 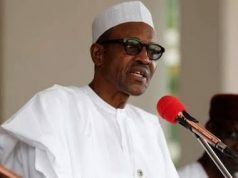 You have been faithful to the letter in following the guidance and instruction of your principal, President Buhari. I know that you shall continue to do so. “I use this medium to join you and all caring Nigerians in praying for the imminent and safe return of President Buhari to continue to lead our beloved country toward the progress, prosperity and reform that shall turn Nigeria into the better nation that is its true destiny“. Breaking: Nigerian Army declares IPOB terrorist organization!